Canada is definitely one of my favourite destinations, if for no other reason than an endless supply of outdoors to enjoy. It is the world’s second largest country after all – check out the map, the border goes nearly all the way to the North Pole. While most of the attractions are much further south, along the American border, it is still hard to choose where to go. Here are 10 ideas, based on the UNESCO World Heritage list. With a name like this, I couldn’t resist. But this really is the name – and it’s an accurate description. The aboriginal people who once inhabited these wide plains in Alberta used their street smarts to kill entire herds of buffalo all by driving them over a cliff. Yes, really. The grounds are littered with skeletons, buried as a reminder of what was once a bustling stretch of land, now nothing more than a scenic landscape. 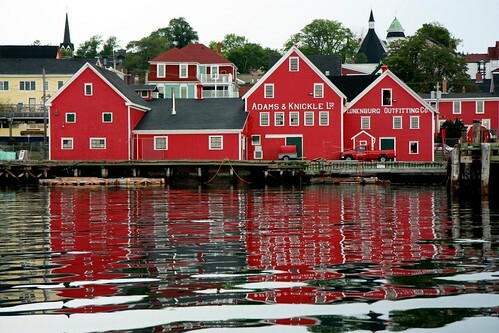 One of my favourite towns in my whistle-stop tour of Nova Scotia was Lunenburg, one of the prettiest towns in Canada. It was established as a British colonial town in 1753, and heroic preservation efforts have made the town look pretty much the same as it did back then. Well, cars instead of stagecoaches, but you know what I mean. Lots of quaint B&Bs and nice pubs to enjoy a relaxing couple of days exploring the sloping and narrow streets. Guesses on the capital of Canada usually fall towards Toronto, the largest city, but in fact it is Ottawa, located right on the border of two very populous Canadian provinces, Ontario and Quebec. One of the highlights of the city, in addition to the wonderful inner city architecture, is the Rideau Canal, which makes quite a bit of a drop as it winds through the city and down a series of 8 locks at its terminus. It’s one of the oldest locks in North America still in use and in its original state. Another interesting spot in Alberta is the Dinosaur Park. Geeks will geek out to know that 35 different kinds of dinosaur fossils have been found here. The tours are interesting, but take time to go on a hike and enjoy the surrounding landscape which is quite dramatic. It would be difficult for me to choose the pretties spot in Canada, though the Canadian Rocky Mountain Parks would certainly come close. 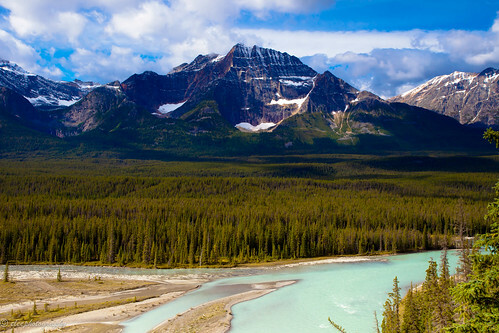 Banff, Jasper, Kootenay and Yoho are the four main parks in this area, which are filled with turqouise lakes, snow capped peaks, thundering waterfalls, tranquil hidden valleys, and much more. It all sounds cliched, but the scenery here is unreal. Take the Rocky Mountaineer train for a great opportunity to see it all. Sometimes just called “Vieux Quebec,” the cobblestone streets of Quebec City wouldn’t look out of place along the Seine in Paris. Complete with iconic old-world architecture and traditional Quebecois hospitality (which, again, wouldn’t look out of place in Paris!) makes this city a must visit. It feels worlds away from any other North American city. Straddling the border of Alaska, Glacier Bay lives up to its name – it’s one of the largest conglomeration of glaciers in any one spot. The park itself, Wrangell-St Elias National Park, is enormous and if you really want to get the best views here, you need to be prepared for adventure – extreme Mother Nature is the name of the game here. Nahanni National Park is located in the Northwest Territories, which for some might as well be the North Pole, they’re so remote. But it is all but impossible to take a bad picture in this park, with its winding rivers, unique caves, massive waterfalls, and deep canyons. Off the west coast of British Columbia are a number of very interesting Canadian islands with fantastic views of the Pacific. Vancouver Island is one of the more popular, with its charming town of Victoria would couldn’t be further from England and couldn’t be more similar. Lots of islands here hold interesting secrets, and Sgang Gwaay is one of them – it contains the well-preserved remains of an Indian population that once lived here, hence the UNESCO status. Finishing up back on the Altantic Coast, reaching out in the sea towards Ireland, is Canada’s province of Newfoundland and Labrador. Whipped by the seas much of the year, the province is also whipped by the earth, with glaciers and continental drift pushing and shoving the land. 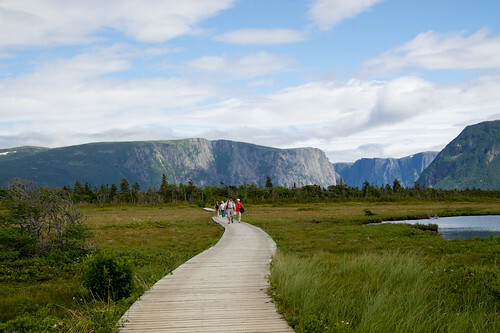 Gros Morne is one of the best places to see the results of this dramatic climate, in rich hues of blue and white and green.